Another meeting of the Normandy Quartet on a settlement in the Donbass ended inconclusively. They were preceded by talks within the Minsk contact groups, where all the progress was expressed in the agreements banning military exercises near the front lines, and an abstract mine-clearance in the Donbass. On other topics nothing was agreed. The Normandy Quartet acted in the same spirit. The “main achievement” was that the Europeans were willing to hold elections in the Donbass in the first half of 2016 (no date, no distinct parameters and obligations). The parties agreed with this and parted until the next time, especially since the junta did not support this initiative. “This meeting was one of the most difficult of all those we held,” the German Foreign Minister, Frank-Walter Steinmeier, said of its results. He added that he is not satisfied either with the situation in the east of Ukraine or with the results of the meeting itself, as well as the way in which Kiev and Moscow conducted the negotiations. The foreign ministers agreed that local elections in eastern Ukraine should be held during the first half of 2016, said French Foreign Minister Jean-Marc Ayrault. “We have expressed the desire that these elections take place before the end of the first half of 2016,” he told reporters. Russia was ready to support the proposal by Germany and France to hold the elections in the Donbass within the first half of the year, said the Russian Foreign Minister, Sergei Lavrov, in his turn. “Such a proposal was made today by our German and French colleagues. We were ready to support them, but the Ukrainian side has asked that this is not insisted on, and as a result no consensus has arisen,” the head of the Russian Foreign Ministry said. Given the uncertainty, and the context of the Russian-American conflict, Russia can force a change in the situation in April this year, when the DPR and the LPR will hold elections to local authorities. On the other hand, if it sticks to the strategy of freezing the conflict, it is more likely that the elections will be delayed until the autumn of 2016 or even to 2017, as Zakharchenko once stated. So far, the new deadline is April 20, 2016. Somewhere between late March and early April it should become clear whether elections will be held on time or will be delayed for another six months. In general, the political process in the Donbass is more dead than alive, so the sides registered the failure of regular talks with an intensification of attacks. Yesterday the DPR claimed 400 bombardments; today they have not yet knocked out the statistics, but they are claiming that homes were destroyed and civilians injured. The junta claims that its positions were fired on fifty-seven times in the night. Three KIA from the 80th Mechanized Brigade by the village of Toshkovka—their “Hummer” hit a mine laid a year ago by the UAF. In the photos, WIA from the Donbass arrive at a Kiev hospital. In recent days, sixteen people were brought, of whom eight were seriously wounded. In general, a strategic stalemate persists in the Donbass—both sides are inviting their opponents to make the first move both militarily and politically, but neither wants to make any concessions or be exposed by striking the first blow. Therefore, on the background of numerous and inconclusive negotiations, a sluggish war continues with periodic exacerbations. It is still very difficult to say when and how it will end. The internal struggle continues in the republics. If, in the LPR, officials are mainly concentrating on the unravelling effects of the Lyamin case, in the DPR, in addition to the fight for control of resources and financial flows and their centralisation, the torpid political theatre of pushing Khodakovsky from the power structures continues. For these purposes, in an appendage to the information campaign waged against Khodakovsky by media people related to Zakharchenko, a commission to investigate Khodakovsky’s activities was established in the People’s Council of the DPR. This path is certainly more correct than if he were to be eliminated as primitively as was Bednov. As I have already mentioned several times, killing undesirables is no way out, but rather is a great way to harm the republics. In the case of Khodakovsky, there is an indication of the creation of a specific political opposition to Zakharchenko, which was joined by Purgin and Bezler. As is not difficult to see, all three of them in one way or another had conflicts with Zakharchenko and were removed from power in favour of the Zakharchenko-Pushilin duo. Therefore, their interests partly converge, as without bringing down Zakharchenko and his entourage it would be difficult for them to expect to maintain their influence in the republic. It should be noted that Khodakovsky and Purgin were cited last summer by General Petrovsky as possible replacements for Zakharchenko. At the time it was described as “intrigues of DPR-enemy, Petrovsky”. But it is not difficult to notice, half a year after the allegations, both Purgin and Khodakovsky lost their positions, which suggests that the findings from this leak were made. Regarding the prospects of the conflict, as Zakharchenko and Pushilin are people appointed by Surkov, their opponents have for various reasons dropped out of the arena and have been forced either to seek support in other offices in Moscow, or else to rely on their own strength. Since Zakharchenko is closely linked with Minsk, it is now difficult to replace him for political reasons, and thus the card of economic abuse is being played. “The struggle against ‘the Lyamin collective’ and oligarchic influence” is now in the mainstream. For the opposition to Zakharchenko the situation is eased by the fact that Timofeev, aka “Tashkent”—about whom a lot of Lyamin-style compromising material has been revealed—is still close to Zakharchenko. The active information campaign in the media is an obvious attempt to get heard by Moscow over the heads of the immediate curators. The bottom line is that the fight against crime and to bring economic flows out of the shadows will continue regardless of the political confrontation, although both sides are committed to these activities, in spite of the existing background associated with racketeering, misuse of Russian economic aid and redirection of coal and other flows from where they should flow. In relation to Khodakovsky, as I wrote earlier, it would be desirable to remove him from the political life of the republic. Regarding his opponents, it would be great if Khodakovsky also took “Tashkent” into political oblivion with him. People need to see the republic comprehensively and systematically cleansed of evil elements, and not just one group pushing another from the trough. People will then have more trust in the authorities and people will actually see positive changes. Of the essential points, it is worth noting that a number of sources confirmed that vehicle number plates and passports of the DPR and the LPR were informally recognised in Russia. Russia recognized DPR and LPR passports. Residents of the Donbass who have received national identity cards of the DPR and the LPR can freely cross the borders of the republics and of the Russian Federation, as well as stay on the territory of the Russian Federation. The information was confirmed to the correspondent of the portal ‘Eurasia’ by the Office of the Border Service of the FSB [Federal Security Service –trans.] of Russia in the Rostov region. This also applies to auto transport bearing number plates of the Novorossiya republics. 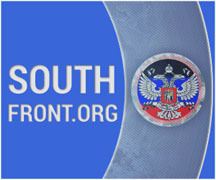 “Persons who have vehicles with number plates issued in either the DPR or the LPR have every right to move on the territory of the Russian Federation as participants in international traffic,” the special correspondent of ‘Eurasia’ was told in the Office of the Traffic Police, in the Ministry of Interior of Russia in Moscow. This was, frankly, an expected move, on which not much attention will be focused due to the Minsk Agreement and blah blah blah… De facto, the republics continue to emerge as unrecognised state formations. Bulk certification of the republics’ population with their own passports and holding their own elections are successive steps along the way. As a maximum, the republics may, on the international level, be considered as part of the Ukraine in the same way that Transnistria is listed as a part of Moldova—though de facto they are two different states, one of which simply has not received adequate international legitimacy and just is biding its time. Abkhazia and South Ossetia had to wait over fifteen years for their first international recognition. I would prefer that things are not so delayed in the case of the Donbass. The people of the Donbass earned their freedom and the right to choose how they will live with their blood. PS. Alena Smetanina aka “Gyurza” in the main picture. Thanks for the article. I confess it is somewhat beyond my understanding, but I wish all the best for the inhabitants of the Donbass, for their future peace and prosperity. Like with Robin, it is somewhat beyond my understanding, but I too wish the best for the people of Donbass, though it rather bemuses me that, apparently, the ‘leaders’ are not a lot different from the Kiev corrupt bunch. Banderastan dreamed of becoming another Greece and it succeeded beyond its wildest dreams (or should we say nightmares), leaving it in a delusional state, unable to recognize that Minsk means Novorossiya and no Minsk also means Novorossiya. he is actually down the bottom screwing up trade. I am not surprised that Marxist delusions exist in Novorossiya in that the rulers of the nascent state (and hopefuls) appear to regard seigniorage (aka theft by watering down the currency supply by issuing Razoos) as a right whereas every major religion, and common sense too, regard the issuance of the Razoo (in its manifold forms – the Brass Razoo, Amerazoo, Sterlazoo, Rublazoo, Kangaroozoo, Novorazoo,…) as haram. 1. a new class: namely the class of people holding fast to patently stupid ideas: the muddle class. 2. a proper estimate of the size of the proletariat: namely everyone with the possible exception of the big bourgeoisie; this means that the bourgeoisie is precisely big bourgeoisie. The muddle class and bourgeoisie are maintained by the bourgeoisie with the wealth expropriated from the muddle class by fiat (the most important mechanism), restrictions on trade, and other means including the (mis)education system, and It seems neither Zakharchenko nor the hopefuls will behave honestly – the nascent state forms, people polish their images, and people are greedy (they can’t print gold), and fearful of the BIS. Now do you understand that stupidity is nearly universal? OMG a demagogue, just what we need. What on Earth does that mean? Seems very muddled for such a self-elevated intellect. You’ll have to do better than this to demolish Marx, regardless that actually intelligent criticism is justified. Have you even really read Marx extensively?